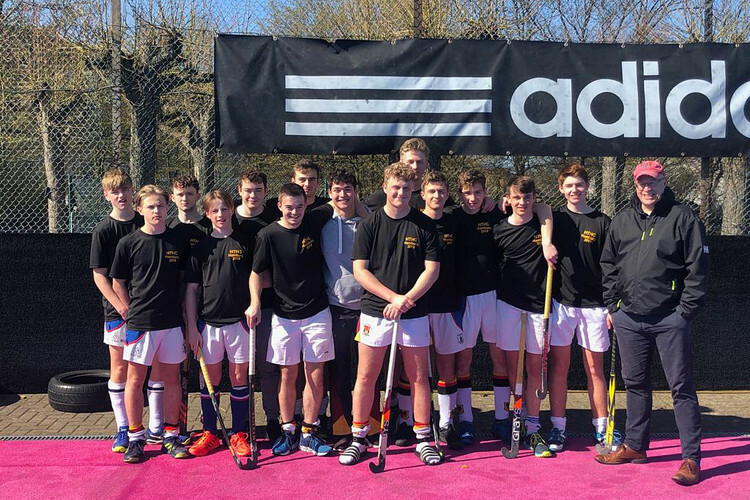 Ten boys from the College U18s Boys' Hockey team enjoyed a highly successful tour to Harvesthuder HC in Hamburg during the first weekend of the Easter holidays. 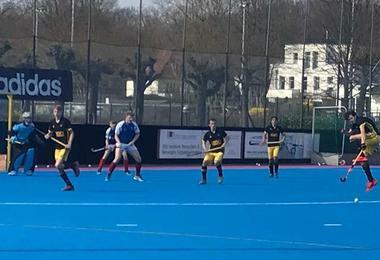 They played four games in two days against Harvesthuder (HTHC) and Uhlenhorst (UHC), both of whom feature in the best 8 sides in Germany for their age. 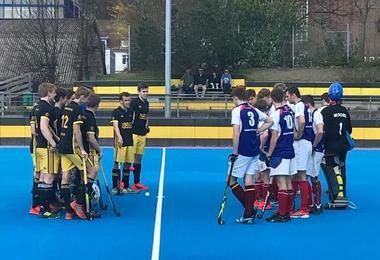 The boys managed to win all four games, beating UHC 8-3 on Saturday (Jamie B scoring 6 goals) and HTHC 5-3 (Joe P 3 goals). 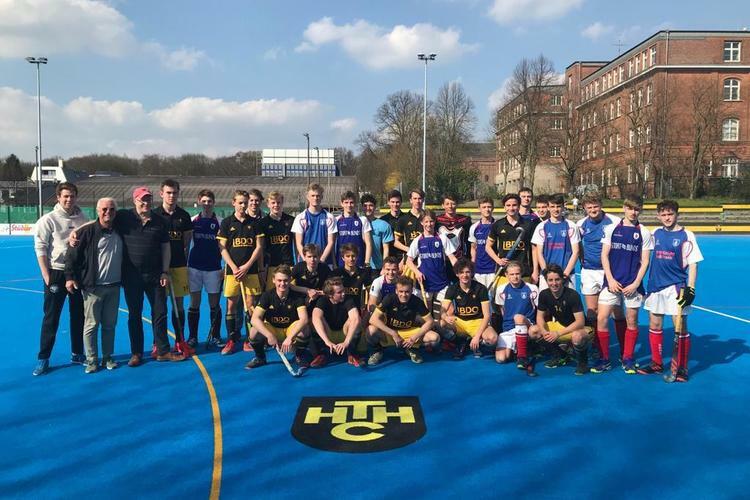 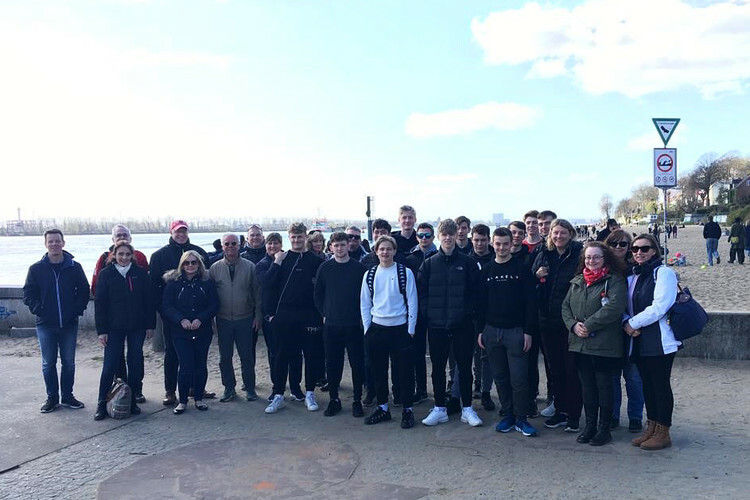 On the Sunday in the second round of matches the boys won 4-2 (UHC) and 4-0 (HTHC) with Jamie B scoring 5 more goals along with goals from Alex S and Joe P.
The group finished off the afternoon with a boat trip around Hamburg harbour in the sunshine and a lovely farewell dinner at the club.